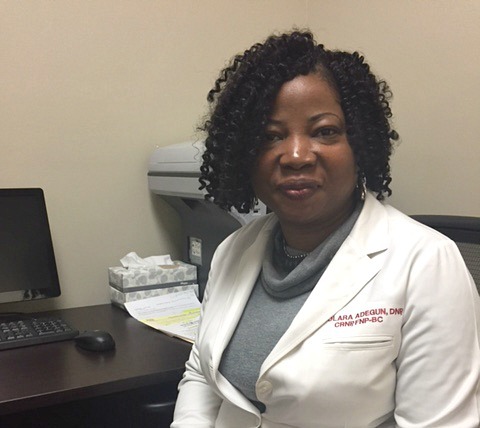 Omolara Adegun is a doctoral level prepared nurse practitioner providing care to individuals throughout their life span, including children, adolescents, adults, and geriatric populations. Clinical expertise areas include; diagnosing, treating, and helping patients manage acute and chronic illnesses, conducting physical examinations, counseling and educating patients about preventive measures. Other areas of expertise include providing expanded knowledge through the formulation and interpretation of evidence based practice and research. NP, Omolara (Lara) is a great addition to our staff since 2016.